Although not a topic in the book "Let’s Go Green Together," helping monarch butterflies is an issue close to the authors’ hearts. Watch Aaron talk about monarchs & how you can help! 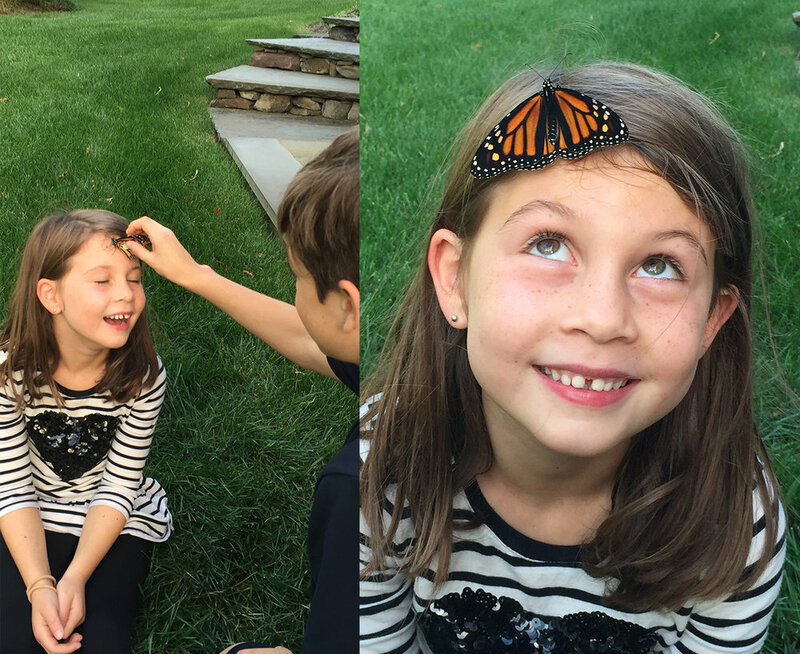 Eight year old Aaron talks about monarch butterflies and releases some he raised into the wild. Monarch Butterflies Migrate up to 3,000 Miles! The monarch butterflies in North America make a miraculous migration to and from Mexico where they overwinter. Monarchs fly up to 3,000 miles! It’s still a mystery how they even know which way to go! Female monarchs will only lay their eggs on milkweed plants. That's because milkweed is the only food monarch caterpillars eat. The monarchs’ migration is endangered in large part due to the loss of milkweed throughout its migratory route. Planting milkweed is a great example of a small action people can take that will have a big collective impact for nature! 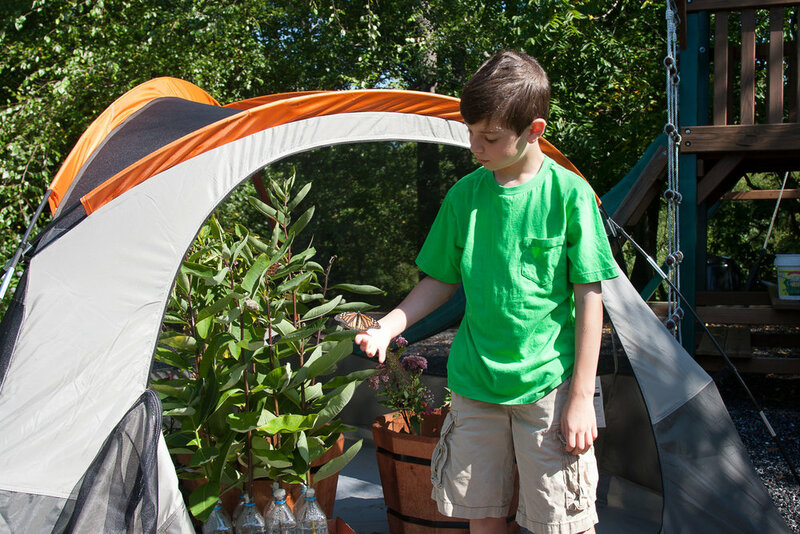 Plant Milkweed in your neighborhood & Help Save Monarchs! What?! You haven’t planted milkweed yet?